Clear polystyrene doesn’t take well to being dropped. Dollar store-quality clear polystyrene... probably even less so. Yes, I did just say I got a bunch of display cases from a (Japanese) dollar store. The paint on these Realtoys seem oddly easily traded (no major damage to the paintwork though). Might be realistic, just in an unwelcome way. 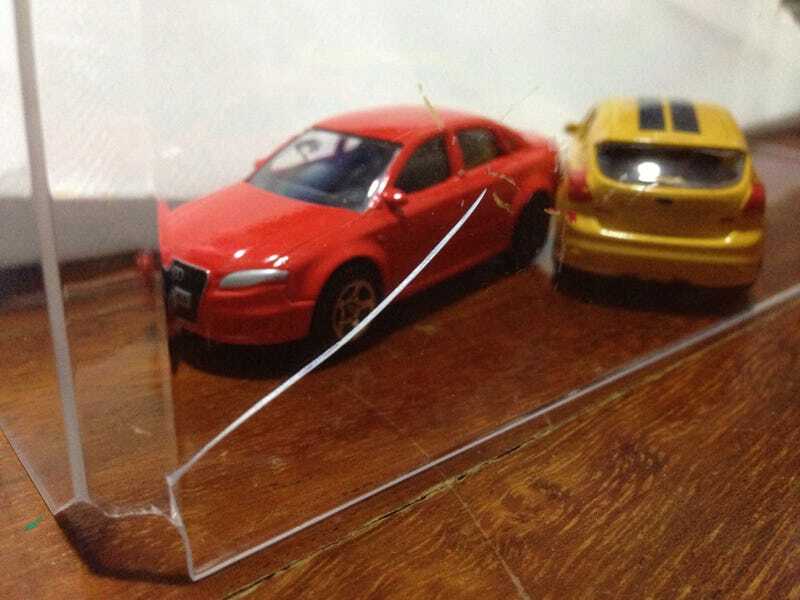 The RS4’s windscreen has been chipped, though, and in a manner I didn’t think possible.